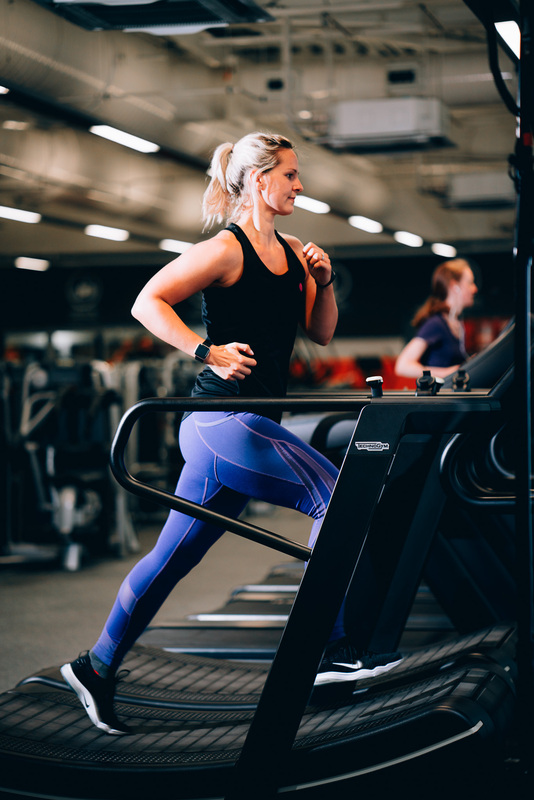 We see our members everyday, working towards their goals and we thought we’d share the stories of women who inspire us at York Sport. This page is dedicated to showcasing the stories and actions of women who have inspired others through motivation, determination and perseverance to achieve their own goals. I spent years avoiding exercise and I also used to smoke but I promised myself I’d stop before I turned 30, which I did with about a month to go! After about a year I decided to try and get fit. I first joined York sport about 3 years ago and I used to only ever do the spin classes as that was my comfort zone as I felt like I could hide on a bike! After a while I tried out other classes and now I love regularly doing Metafit, Circuits and Box fit as well as still doing spin. I find York sport to be so friendly and a real sociable environment which helps a lot, specifically meeting 3 other girls who I work out with every morning and we’ve become such good friends they were bridesmaids at my wedding in June! It really motivates me every morning getting out of bed at 6am knowing they will be there for a good catch up as well as a good gym session! I stay active because it makes me feel great, it really sets me up for the day ahead and I feel so much healthier and happier now I exercise regularly. It also helped me lose 13 kilos for my wedding day and I’ve managed to keep it off by maintaining my routine. Coming to York sport has also given me the confidence to do resistance training. When I first started coming and only used the spinning bikes I knew nothing about lifting weights, and I didn’t have the confidence to even go into that area of the gym. Last year there was a 14 week structured strength training program that I took part in and it was amazing to track how much my strength improved every few weeks, as well as learning new exercises and how to use different equipment, and everyone was so supportive of each other it was a great experience. Now my weights days are probably my favourite gym days. Since joining York Sport I’ve also taken part in Tough Mudder which was an amazing thing to do, as well as doing my first 10k in September, things I’d never even dreamed of doing before. I can’t wait for my next challenge whatever I decide to do! I stay active because I know it’s good for me and it makes me feel good on the inside! Staying active and regular Exercise keeps me flexible and hopefully it helps my bones be strong for old-age. It’s a bonus that staying active keeps my weight roughly the same as it was 20 years ago. 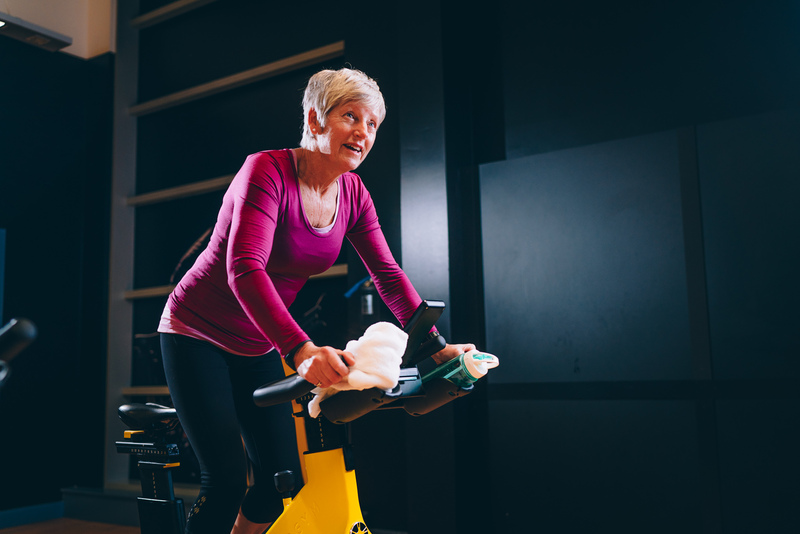 Since joining York sport, I’ve been regularly attending fitness classes, my go to classes are; Legs, Bums & Tums, over 50s Pilates, body balance and spinning. I love to keep moving and there are so many benefits from staying active; ask my grandchildren, they love Nanna chasing them playing games in the garden, we never stop! Overall, I’ve succeeded in keeping my weight off and staying active which has been great fun. By keeping fit, joining the gym and attending my classes, I have made some good friends too! My goal is still to keep fit for as long as possible. Staying active has always been a big part of my life. I loved competing when I was younger, now my motivation is to stay as fit as I can possibly be to face life’s many challenges. 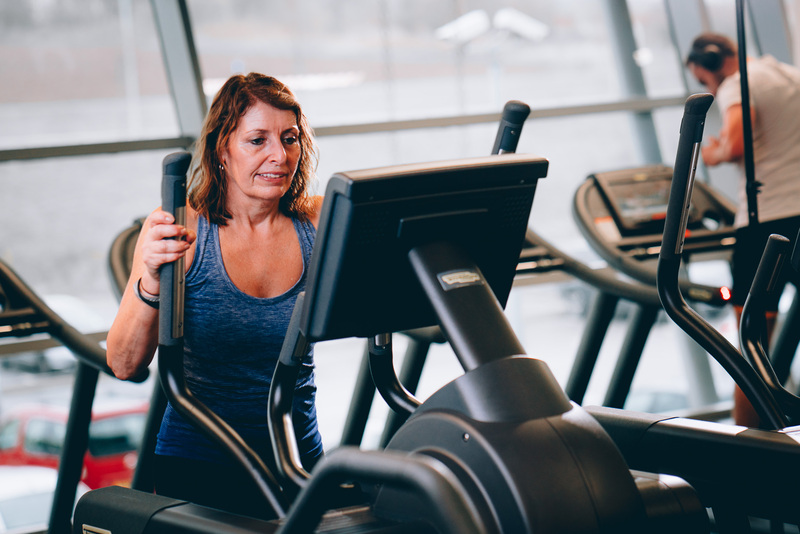 Looking back, the closure of my previous gym prompted me to seek out new facilities and, with the wide range of classes on offer, York Sport Village was my obvious choice. I was made to feel welcome at my very first visit. Since joining, I have been inspired by superb instructors to love Aqua, Zumba, Pilates, Body Balance, and Body Combat. I now have time to fit in my latest passion – Yoga – which I also practice at home. I have made real progress, my husband is amazed that I am now able to do a headstand unaided! Thanks to instructors Jo, Lou, Emma, Sam, Neil, Sarah & Pauline for making their classes so enjoyable. Staying active is especially beneficial to my wellbeing. It is my main weapon against a chronic illness that threatens my mobility every day. Though the illness can force me to take time out from classes for a while, I know that York Sport Village is there to help me regain my fitness starting with Aqua to build up my muscle strength. However there are other benefits as well – friendships. I have got to know so many people; besides the many international students that I have met and become good friends with I am also a member of the notorious “Zumbaholic” party group! I also know most of the York Sport Village team by name and they help me get the best from the facilities on offer. Maintaining my mobility for as long as I am able is my goal and I believe I am achieving this. My neuro–physio commented that from her experience, I am the most self-motivated and determined patient she has advised. After dislocating my kneecap earlier this year and relearning how to walk I really got into fitness, especially weight training, as I loved how strong it made me feel as well as knowing that it was keeping my joints working. I was excited to come to a new gym that was very different from my one at home. There was so much new equipment I’d never tried using before which has really kept me motivated as there’s always something new to try and progress with! I use the gym and pool a lot, especially the free weights which are slowly becoming my favourite thing to do. I also do the Body Pump class which is so much fun, I really enjoy it and you can make it as hard or easy as you like depending on which weights you use. It’s actually the class that got me into weight training, to begin with! I’ve achieved a lot since starting here in September from lifting heavier like; squatting 10kg in the beginning to 35kg now and increasing my dumbbell weights from 4s to 10s. I also feel like I’ve achieved a lot more knowledge-wise, I know so many more exercises and techniques I can use in the gym to get the best results and to feel good! Coming to the gym is always such an amazing stress relief from studying full time. It’s great to get away from coursework and focus on myself for a bit, plus it’s made me so much more confident as I can see myself getting leaner and stronger! I have always lead a relatively healthy lifestyle by playing sport. However, it has only been in recent months since using the facilities at York Sport that I have committed to exercising regularly and focused on improving my health and fitness. I do this by varying the activities that I take part in which gives me the energy and strength to feel as good as possible on a daily basis. I felt very comfortable when first visiting York Sport as the staff were welcoming and there were a range of activities to choose from, making it easy to find something I enjoy. To begin with I was hesitant to take part in the classes but after being encouraged by other members to participate, they are now the most enjoyable part of my workout. I usually prefer the HIIT classes such as Metafit and Group Cycle but I try to take advantage of all the classes available and often team a more intense class with Pure Stretch or Abs Blast afterwards. Being active gives me a real feel good factor and has significantly boosted my self confidence in just a few months. I am currently working towards a balance of losing fat and gaining muscle. The fitness team helped me begin this journey by introducing me to different exercises and equipment in the gym and they are helping to keep me motivated and track my progress so that I can reach my goals. Like a lot of women I didn’t enjoy sport or PE at school and have only started to enjoy fitness later in life. I started at York Sport Village in September 2014 when my previous gym in York closed down. As soon as I looked round , I knew it was the right one for me! I use the fitness suite several times a week for cardio work. My favourite class is body combat which I try to get to 3 times a week; it is a great stress reliever. Recently I have been having a go at body pump as well, which I initially thought would be outside my comfort zone, but I’m enjoying that as well! I feel so much better exercising regularly. It has a positive effect on my physical and mental well-being and helps me relax. 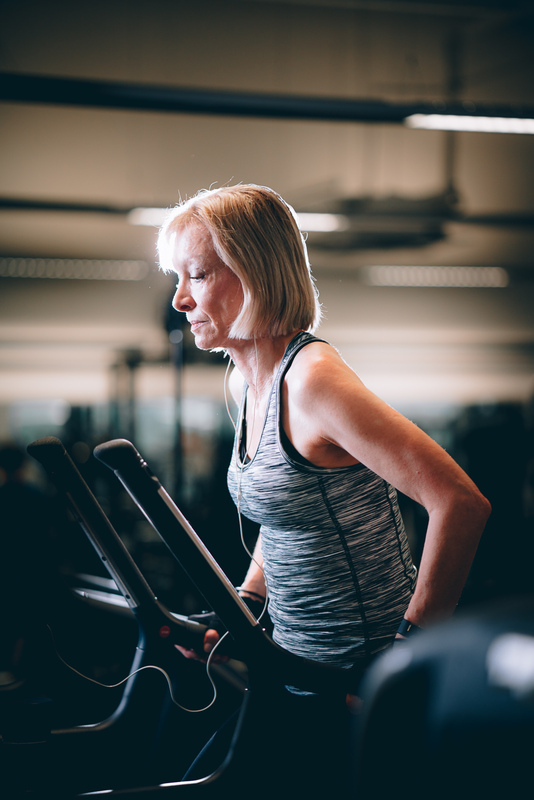 I also started a programme for using weights and the resistance machines which has improved my muscle strength and bone density, which I feel is vital as I get older. Overall it has a beneficial impact on the rest of my life – even my posture has improved! When I retired from working full time and stopped horse riding, I needed something that would fill in that time, keep me moving and be enjoyable. York Sport has become part of my weekly routine, in addition to dog walking. It has been good for my mental, social and physical wellbeing. I enjoy the mix of people who come to the classes and have found people that have similar views to keeping fit. The staff are particularly friendly and always inspire me to try my best! 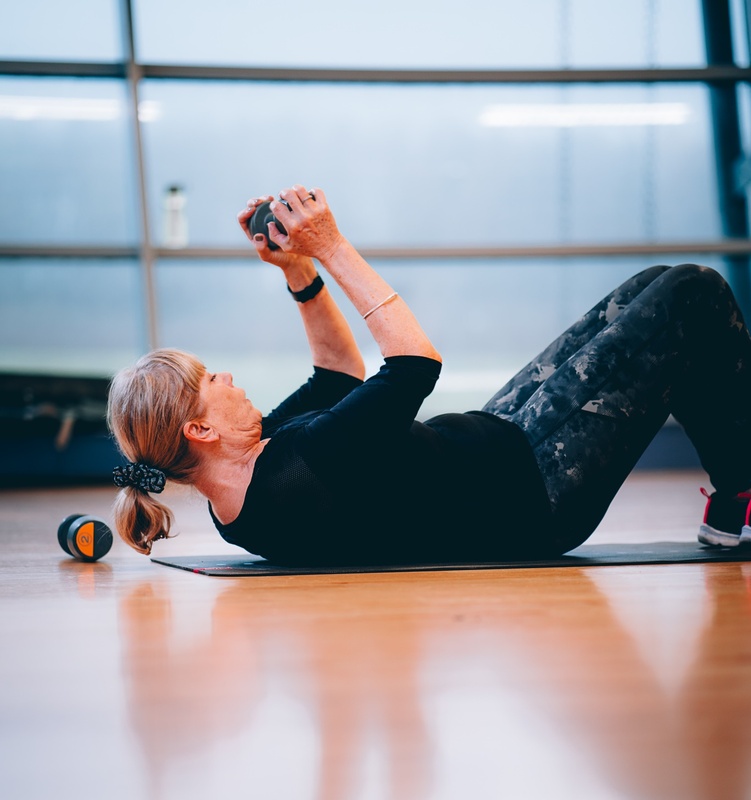 I’ve tried lots of classes, Zumba, Aqua, Over 50s fitness, and at the moment I like Body Pump, LBT, LBT Circuits, Pilates, Fitness Pilates and Stretch. By attending York Sport and continuing my walking I’m doing the best for my overall health. It’s got to be enjoyable otherwise I would struggle to attend.